Conscious Living Blog Are You a Desk or Dashboard Diner? Most Americans eat at least one meal a day in the car or at their desk. Our modern day busy, and technology-filled lives invite near constant multi-tasking. According to a Harvard study done in 2013, eating while watching TV increased food intake by at least 50%. The same is likely true for eating while driving or working, surfing the internet or scrolling through social media. In this state of distracted busyness, it becomes all too easy to ignore the body and its true hunger signals which then leads to low blood sugar. When we finally do eat, it’s from a place of depletion and distraction. Have you ever felt “hangry”?! Eating while distracted or on the run results in faster consumption, eating poorer quality foods and unconsciously eating MORE. This creates problems from both a human connection AND health standpoint. Why is this so important? Women are suffering in record numbers from digestive related issues, weight concerns, autoimmune disorders, anxiety, depression and other stress-related challenges. The simple habit of bringing mindful attention to meals has been scientifically proven to improve digestion, reduce stress, improve cortisol levels and support us in eating less. It’s one of the most basic ways we can improve our health. 1. Begin by tracking how many meals or snacks each day are eaten while doing other activities. Get curious and notice without judgment. 2. Pick one meal a day to practice without any electronic or driving distractions. 3. Begin your meal with a few centering breaths in through the nose and out the mouth. Take a moment of silence or gratitude to come into presence. 4. Enjoy every flavor and texture by taking small bites and chewing your food. The first step of digestion is the smell, the visual savoring that triggers the brain to send a signal to release digestive enzymes and begin breaking down the food in your mouth. 5. Stop when you feel satisfied. Not full or stuffed. The objective is to fill your stomach to 80% and then allow the body time to register that you’re actually full. This mindful eating practice will help you to reduce overeating, improve digestion, improve sleep and cortisol balance, and even lose weight if that’s a goal. Not to mention, you’ll bring meals back to the table, enjoy the flavors and aromas of your food more and hopefully find yourself connecting with others. 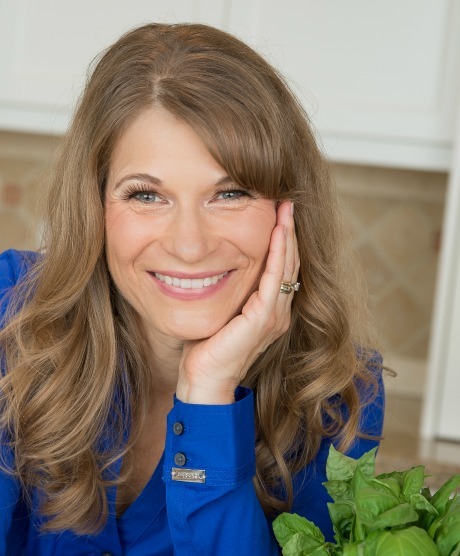 Lisa Story is a Certified Health Coach with over 20 years in the health education and wellness industry. It's her mission is to help you experience more energy, vitality, and contentment so you can enjoy the most fulfilling life possible.